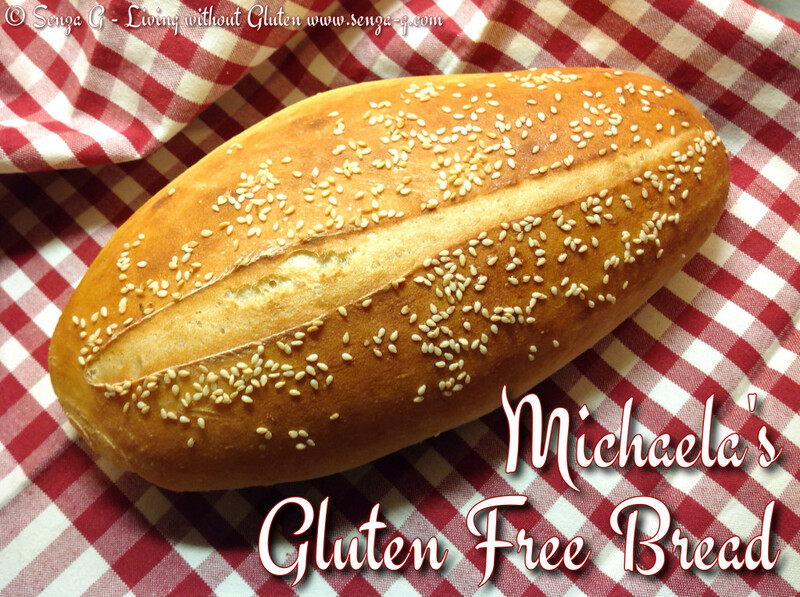 This delicious gluten free bread roll recipe came from Michaela Portella, who kindly shared her recipe with other Celiacs on a Maltese Celiac Facebook Page. She herself kindly gave credit to Simone Grozinger, whose recipe she used. It is made with a starter which you prepare ahead, i.e. the day before you want to bake the bread. It is very straightforward and so delicious! In the recipe, Michaela has used Dr Schar. I myself used the same brand, but would imagine that you can use any Gluten Free Breadmix. It is important to note that these rolls need 24 hours as the starter requires 20 hours resting period. To prepare the starter, mix 200g flour, a pinch of dry yeast and 200ml lukewarm water in a bowl. Cover and leave to rest at room temperature for 20 hours. After the resting period, add the remaining flour, sugar, salt, yeast, psyllium and the lukewarm water and knead well with a stand mixer. Leave the dough to rest for another 2 hours. Form the rolls, brush them with the milk and sprinkle with sesame seeds. Score them with a knife and again leave to rest for another two hours. Or else make them into loaves. Preheat the oven to 200C and bake for about 15 minutes, longer if you made loaves. When tapped, they should sound hollow. Tip – Place a baking dish with water at the bottom of the oven whilst they bake. The steam will help to make a crunchy crust.